Conventional Dried Sage Leaves – HERMES TARIM LTD.
Salvia officinalis (common sage) is a small, perennial, evergreen subshrub, with woody stems, grayish leaves, and blue to purplish flowers. It is a member of the family Lamiaceae and is native to the Mediterranean region, though it has naturalized in many places throughout the world. It has a long history of medicinal and culinary use, and in modern times as an ornamental garden plant. The common name “sage” is also used for a number of related and unrelated species. Salvia officinalis has been used since ancient times for warding off evil, snakebites, increasing women’s fertility, and more. The Romans likely introduced it to Europe from Egypt as a medicinal herb. The ophrastus wrote about two different sages, a wild undershrub he called sphakos, and a similar cultivated plant he called elelisphakos. Pliny the Elder said the latter plant was called salvia by the Romans, and used as a diuretic, a local anesthetic for the skin, a styptic, and for other uses. Charlemagne recommended the plant for cultivation in the early Middle Ages, and during the Carolingian Empire, it was cultivated in monastery gardens. Walafrid Strabo described it in his poem Hortulus as having a sweet scent and being useful for many human ailments—he went back to the Greek root for the name and called it lelifagus. Salvia officinalis has numerous common names. 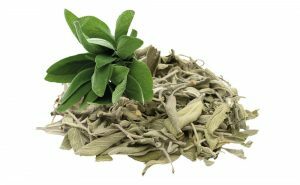 Some of the best known include sage, common sage, garden sage, golden sage, kitchen sage, true sage, culinary sage, Dalmatian sage, and broadleaf sage. Cultivated forms include purple sage and red sage. In Turkey, salvia officinalis is widely known as adaçayı, meaning “island sage”. Storage : The product should be stored in a cool, clean, dry place and away from direct sunlight.